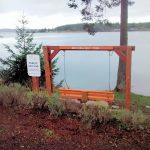 What purpose does the airport serve for Lopez Island? Lopez Airport is an economic engine for our island. Annually there are 5000 to 6000 flights in and out of Lopez Airport (data collected by Port). Commercial aircraft make up about 50% of these flights serving island needs. Including: daily delivery of overnight express packages, daily delivery of clinic lab samples for testing, transporting workers and professionals and allowing families to live on-island and commute to work. The majority of flights into and out of Lopez airport are from off-island aircraft. Emergency medical transports from the airport are up, and will continue to rise, the airport is the safest and most dependable location for Med Evacs. The Port also leases Port property for housing, agricultural and commercial use. Do Port’s have authority to regulate or legally oppose Cannabis Farms in their district? 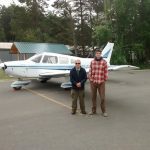 Does the Port have an FAA airport master plan, what are the key issues? Yes, the Port completed it’s Master Plan Update in December, 2018. The Port is investigating adding a weather station and instrument approach to meet Med Evac needs. The commission has rejected west side off airport property weather station locations due to negative impact to the airport and neighbors and will explore onsite airport locations. The commissioners have turned down the FAA proposal to relocate Eagles Roost and Meadow Lane (at the south end of the runway) out of the Runway Protection Zone (RPZ); moving these roads was not required and there are many busier roads operated safely and legally within RPZ’s in the state. The commission will consider future possible acquisition of airport buffer properties only from willing sellers including, within the Runway Protection Zone. What is the role of Port commissioners? The Port of Lopez Commissioners have an unusual dual role. They are commissioners making policy and planning decisions and approving the budget plus, they manage the airport. You may see the commissioners out at the airport; meeting with contractors on major projects, checking on small jobs being done by local workers, cleaning up, fixing gates, fixing down spouts or repairing runway lights among many small tasks that must be done. 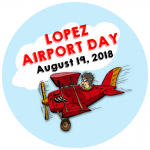 Lopez airport keeps its expenses and taxes down by not paying staff salaries, which keeps the Port of Lopez in the bottom 10% of all the state Ports in the amount of tax collected. The Port commissioners management responsibilities has expanded recently as the Port has acquired more properties including; long term rental housing, shop rental space, more hangars, Bayview Day Park and more farmland buffer around the airport. Why did the Port build a fly-in camping and a picnic area at the airport? The updated fly-in camping area allows fly-in visitors to over night camp on a pleasant airport grass area and hike or bike on Lopez. This small picnic shelter and fly-in camping area was funded with a county public facilities grant. All labor was donated by local pilots, led by Bruce Dunlop, with help from the Port Commissioners. Come out and watch airplanes land and take-off and use the new picnic area. Why has the Port purchased land at both ends of the airport and cleared trees? In 2012 on the “Airport Compliance Inspection Report” the FAA listed both ends of the airport as unsafe to landing aircraft because of the obstructing trees. The Port now has acquired most of the critical parcels at each end of the airport and have removed most trees obstructing landing and departing airplanes, making the airport safer and meeting FAA requirements. The critical properties were converted into pasture land for local farming, including a 2018, 30 year lease for an apple orchard on the Shark Reef property. Why didn’t the Port top the trees intruding into the airspace for landing aircraft? According to FAA grant public history, in 2000 the FAA funded a Lopez Airport Obstruction Removal Project at a cost of $152,000, by topping the trees on both ends of the runway. The FAA will only fund obstruction removal projects in the same location one time. Topping trees is more expensive than cutting trees. After investigating the south end’s obstructing trees including; survey work, climbing and marking the trees, a local certified aborist told the Port Commissioners that topping the trees in his best thumbnail estimate may cost significantly more than the 2000 project . There were many more trees that had grown into the airspace since 2000. 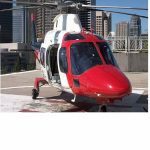 The commission was facing an FAA mandated project that could have cost hundred’s of thousand’s of dollars with no FAA support. Topping the trees does not solve the obstruction problems long term, each 15 to 20 years the trees need to be topped again. Trees keep on growing. In 2014 and 2015, the Port purchased the most critical properties on both ends of the runway and removed the trees and stumps then converted the forest into farm land for a total cost of less than $400,000. This “one-time” expense will save the Port and Lopez tax payers many times the investment in the long run. What is my Port property tax used for? Port property tax is used to maintain and operate Lopez Airport and Bayview Day Park. Note: FAA – AIP funds can only be used for FAA approved capital airport projects. Port taxes are also used for projects supporting the Port’s goals. Lopez Port successfully operates on one of the lowest Port Tax Incomes in the State (bottom 10%). Does the State Constitution mandate that Ports engage in economic activity? In Article 8, Section 8 the Constitutions states: “The use of public funds by port districts in such manner as may be prescribed by the legislature for industrial development or trade promotion and promotional hosting shall be deemed a public use for a public purpose, and shall not be deemed a gift within the provisions of section 7 of this Article.” It is termed a use for a purpose. Ports are given the latitude to promote economic development in a number of ways. Examples of port investments include marine terminals, airport facilities, improved rail infrastructure, industrial parks and marinas. Interestingly, Ports are not allowed to pursue projects, like housing and solid waste, that are the obligation of municipalities. The Lopez airport, operated by the Port, has been and is currently a significant economic driver for the community. The Lopez Port Commission is committed to investigate and consider additional appropriate economic development programs that most Lopezians support after understanding the benefits, costs and risks. Ports that are heavily engaged in economic development have a higher tax base, many full time employees and an Executive Director, among other resources. Lopez Port District operates effectively and efficiently with 3 Commissioners and one part time employee. If information that you are looking for is not here: contact Helen at 360-468-4116 or contact a Port Commissioner.